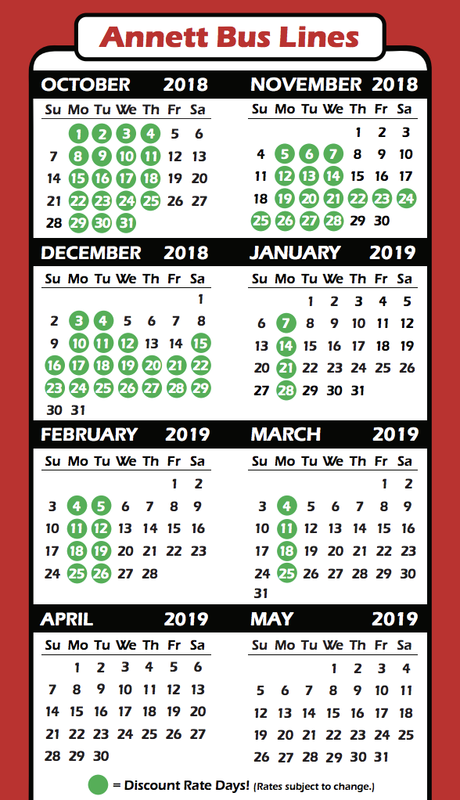 *Note: In the printer settings please make sure to select “include background graphics” under the options settings to ensure your printed calendar includes the highlighted dates. © 2019 Annett Bus Lines. All Rights Reserved.